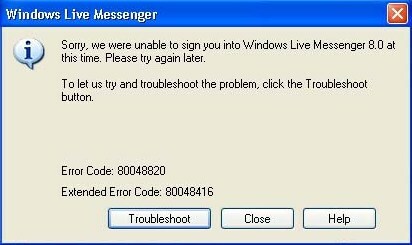 We were unable to sign you in to the Windows Live Messenger 8.5 at this time. Please try again later. Click on the Tools menu, then click Internet Options in the pull down menu. Under “Security” section tree, clear the Check for server certificate revocation (requires restart) check box. Sign in to Windows Live Messenger again.